Circus fans delight! 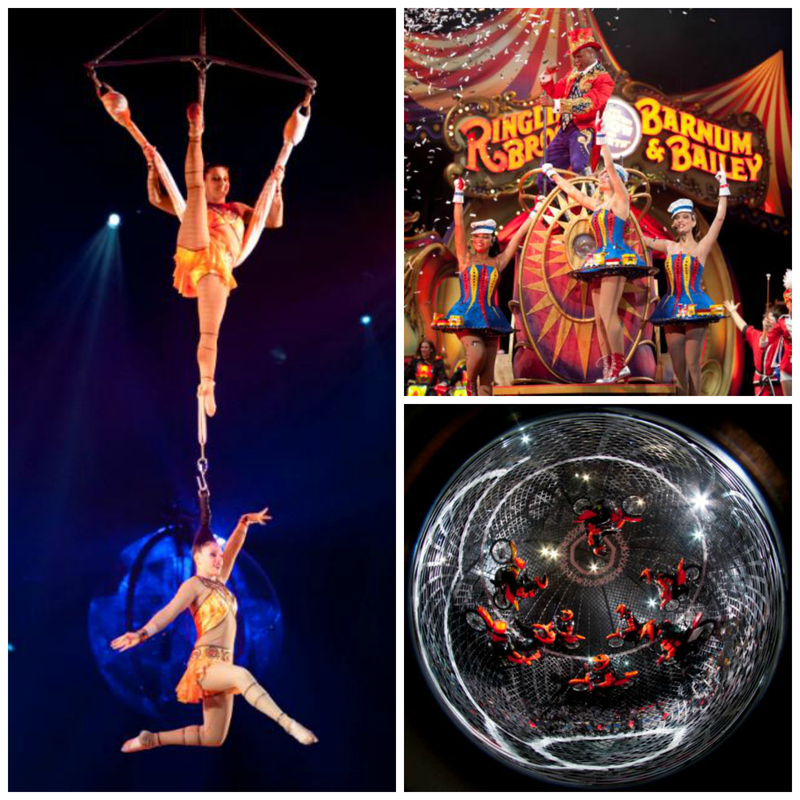 Courtesy of Amway Center, we’re giving away a family four-pack of tickets to Ringling Bros. and Barnum & Bailey presents LEGENDS live at the Amway Center on January 11, 2014 at 11:30am. To submit your name for consideration simply leave a comment in this post about the first time you ever experienced the circus, or why you’d like this to be your first time. We’ll randomly select a winner among those who’ve commented. Deadline to be considered is this Sunday, January 5th, at noon. For more information on the event at Amway click here. And if you’re interested in purchasing tickets: http://bit.ly/JCWaIS. You can also find out a ton more about this show as well as Ringling by visiting Ringling.com. I would love to be able to take my children to the circus. I grew up going and have such special memories of it. For them to have the same, would be incredible! I would lovw to go to see my son, who is 7, and his expressions to the circus. I remember being a little girl and being amazed by the Arial acts. WWoud love to take my grandson and daughter. A reall steess relieving fun. I remeber waiting for the circus to come and watch the elephants walk the streets. Congratulations, Barbara Ann! Can you please email us at pulseofcentralflorida@mail.com with your full name? We need to provide that info to the folks at Amway Center. The first time I went to the circus was taking my eldest daughter when she was two. She was transfixed. The magic in the rings was magnified a million fold in the magic reflecting in her eyes. I want to keep the magic going. This would be the best gift to give my wife & our boys. My wife is a big circus fan, but not just any circus IT HAS to be ringling bros. We haven’t been able to take the kids due to finically difficulties so I’m hoping to win a family 4pack. it would be like to get our kids to experience this for the first time so they can see why mom & Dad are huge fans. Good luck to all!!! I would love to take my nephews to this event. They have been very good boys. They are smart, caring & very energetic. I think this would be perfect for them because they are huge animal fans & I love this would be such a magical experience for them. Please help me make this come true. My grandparents used to take me to Ringling bros at the old Miami Arena. As I get older, any bit of nostalgia I get that reminds me of them is a welcome opportunity. Hi, Maria! Yes – we actually posted the winner last night. Thanks for entering. I’ve never been and my wife hasn’t been since she was a little girl. It would an excellent date night!